Detergentcakeplant – Detergent Cake Manufacturer Suppler&Exporter In India. Detergent Cake Manufacturer Suppler&Exporter In India. 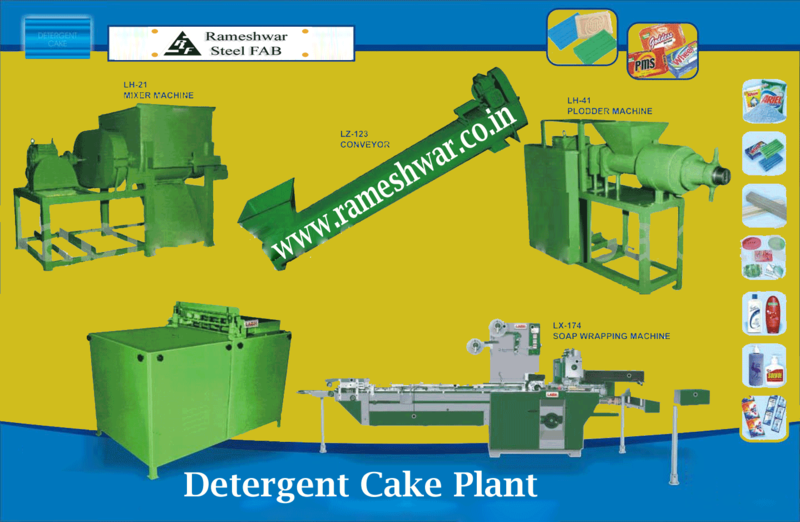 Rameshwar Steel Fab provides Detergent Cake Plant, Detergent Making Machine, and Washing Powder Plant, detergent powder plant to their customers that are extremely durable and robust in construction. These products are widely used in the soap industry. Tradition of Quality, Reliability for over past six years continues and goes with the timely service at your door. We are catering to ever growing demands of elite companies from all across the globe. We offer end to end solutions for soap manufacturing plants. We believe in working together with our patrons and have an in depth understanding of their needs. All our products are extremely durable and robust in construction widely used in the soap industry. We are catering to ever growing demands of elite companies from all across the globe.